The internet is full of irritating illusions and this latest one has made me feel really dumb. The challenge is to work out which direction the bus is travelling in. Which I totally couldn’t. 80 per cent of children under the age of 10 could answer the question instantly by applying common sense and logic. Which makes my inability to work out this puzzle rather embarrassing. 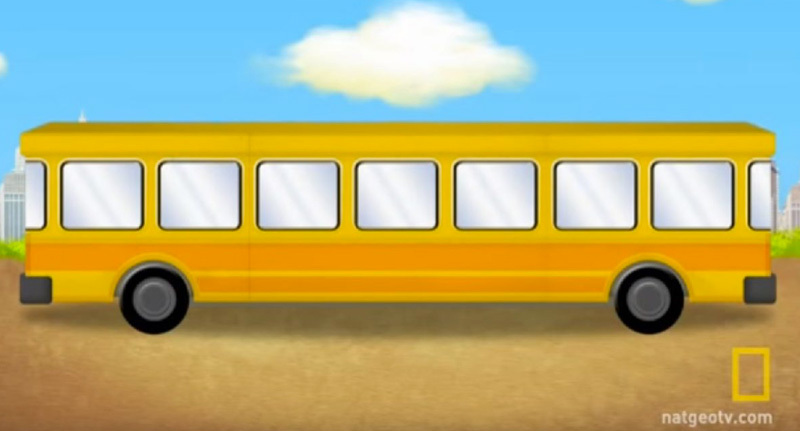 The common sense thing that kids apparently work out is that the door must be on the other side of the bus near the pavement, which means the bus is on the left hand side of the road. If the bus is on the left hand side of the road then it is driving to the right – in the UK at least. In countries where they drive on the other side of the road then the bus is driving off to the left. Which technically means the bus is travelling left and right at the same time depending on who is looking at it. It also means you can guess the answer answer left or right and still be correct if you’re prepared to argue like a pedant – which I literally always am. So there, simple. The bus is travelling left or right depending on which country you’re in.